Wholesale Handbags #hut Multi color beaded coin purse in the shape of hut. Top zipper closure with wrist strap also. Imported. 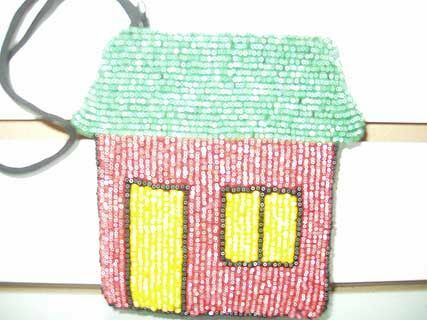 Multi color beaded coin purse in the shape of hut. Top zipper closure with wrist strap also. Imported.